The HPHT (High Pressure High Temperature) technological method allows customers to purchase a high-quality diamond in desirable colors at reasonable prices. These diamonds can be priced up to fifty percent less than unprocessed diamonds. How does a diamond get processed under the HPHT method? This method recreates the process that happens deep within the Earth’s crust when a natural, colorless diamond is created. On a diamond’s journey to the surface of the Earth, through added pressure and heat, a diamond becomes discolored, turning a yellow or brown shade. The HPHT process puts the diamond back into a high temperature, high-pressure environment, with temperatures soaring up to 2,600 degrees Celsius, returning the diamond to its natural colorless beauty. Only a few diamonds in the world are resilient enough to survive this process. Diamonds from the 2a rough, which represent approximately 1/2 percent of the total number of global diamonds mined, can tolerate the HPHT process because of their structural integrity and high purity. Because of the rarity of these diamonds, a limited supply of HPHT natural diamonds exists. How do you know you’re buying a high-quality HPHT natural diamond? 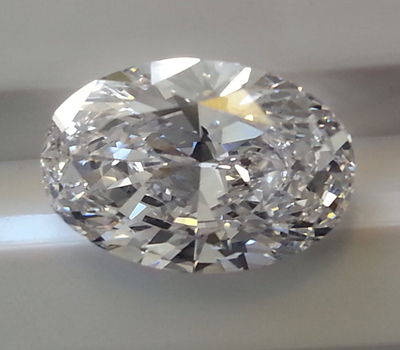 For any lab that produces an HPHT natural diamond, vast knowledge is required to choose the right diamonds to undergo this process to achieve desirable results. The Gemological Institute of America (GIA) deems HPHT diamonds to be stable and permanent. If your HPHT natural diamond comes with a GIA certification, you’re receiving proof that your diamond was verified by the most stringent authority on diamonds.